Matt “Mayhem” Biolos is currently touring the land down unda’. 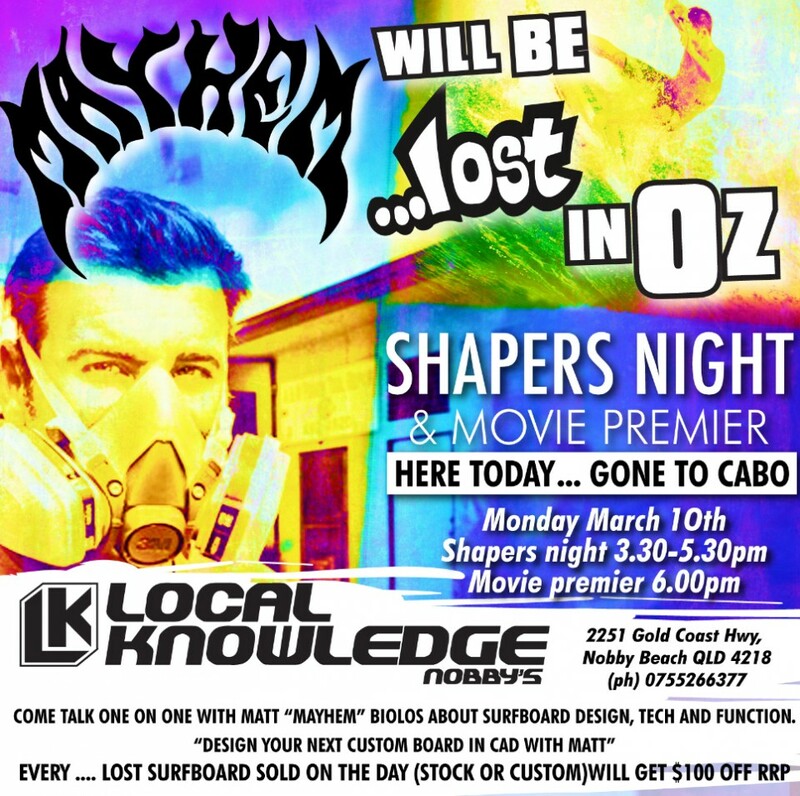 Check all the dates and locations below to talk one-on-one with Mayhem about surfboard design, tech and function. Design your next custom board in CAD with him. Every …Lost surfboards sold on that day (stock or custom) will get $100 off RRP.